Back in the early part of this year, things were really really busy. I had virtually no sewing time and needed to find other (less time consuming) outlets for my crafty inclinations. 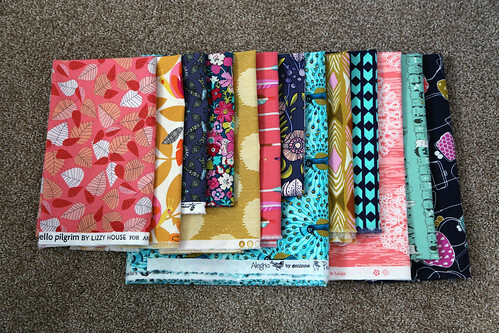 I started pulling fabric stacks for quilts I would never get around to making as a stopgap until things eased up. Surprisingly, the act of planning the quilt was enough and by never aiming to actually make the planned quilt, I avoided the stress of overloading my to-do list. A few of the stacks got posted to Instagram but that's really where things ended off. Now that I have a little more time, I keep thinking about actually making some of these "planned quilts" and have finally started doing just that. 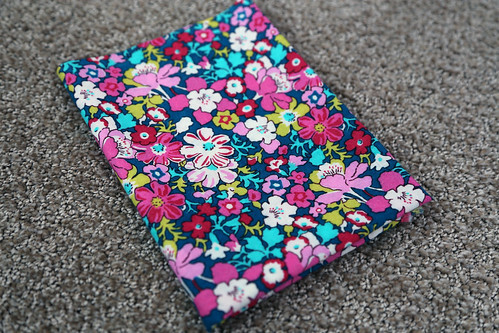 The first stack I grabbed started from one of my favourite prints in Liberty of London's Bloomsbury Gardens collection, Lytton in Magenta. The mix of magenta, chartreuse, teal and navy in a varied bouquet of flowers just makes my heart sing but when I started pulling fabrics for my quilt, I ended up substituting the magentas in the original print for corals. The final stack of prints is reminiscent of the original print but definitely stands on its own. A couple of weekends ago, I got to cutting out my fabrics and perfecting my Donuts Quilt layout. The quilt top got finished last weekend and I sent it off to be quilted earlier this week. I'm hoping to share the finished quilt soon! The donuts highlight your prints really nicely. Each one gets to shine on its own, and they look great together! Your fabrics are really great, and it's a good pattern choice - really lets you see the fabric. Looking forward to seeing it finished! Love your fabric selection! Looking forward to seeing the finished quilt! Kudos to you for finding a way to stay crafty! I've been doing a similar thing planning lots of knitting, but I'll definitely have to do some quilts too! What a simple but awesome block and layout! It showcases prints great! It looks awesome! I love this pull. Totally my style! 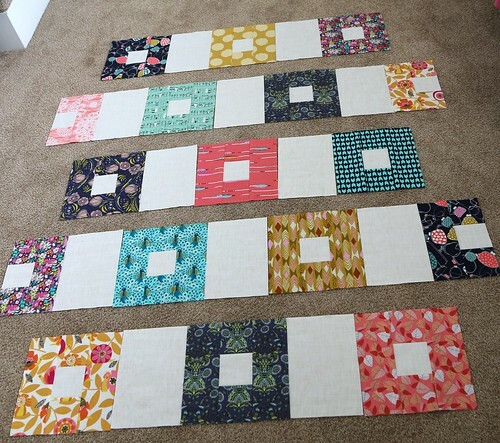 I'm also glad to hear that I'm not the only one with fake quilt pulls!